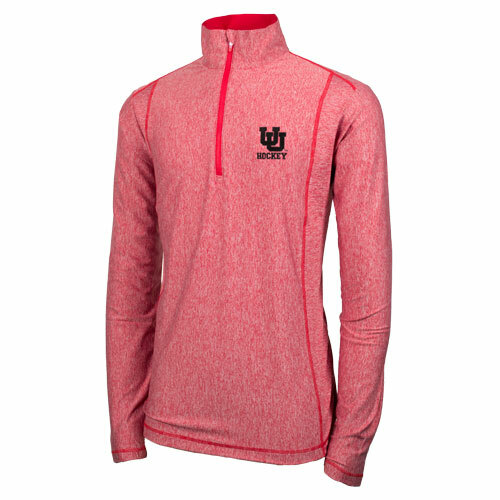 Show your Utah Hockey pride with this classy looking quarter zip pullover by Antigua. Featuring a contrasting Interlocking U you will have a pullover for any day! 91% Polyester. 9% Spandex. Imported. Please select option for Antigua Quarter Zip Interlocking U Hockey Pullover. Athletic logo applique hockey jersey. 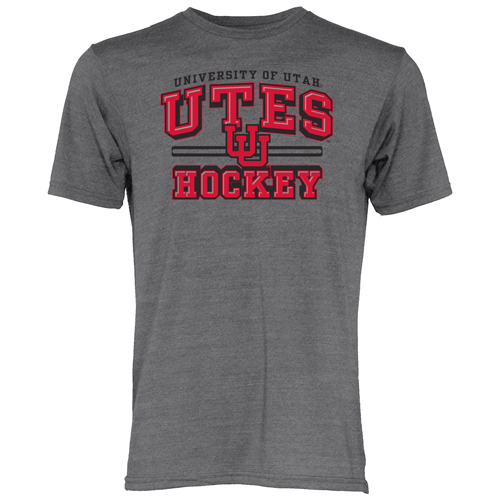 A must to wear and support your University of Utah hockey team. Custome made in USA. 100% polyester. Please select option for Athletic Logo Replica Hockey Jersey. Please select option for Blue 84 Interlocking U Women's Hockey Tee. Get ready for game day in this new Colosseum Hockey Jersey. Show your pride featuring the Interlocking U Logo on the front and on the sleeves! Please select option for Colosseum Interlocking U Striped Hockey Jersey. Get ready for game day in this new Colosseum hockey jersey. Featuring the Interlocking U logo on the front and sides. 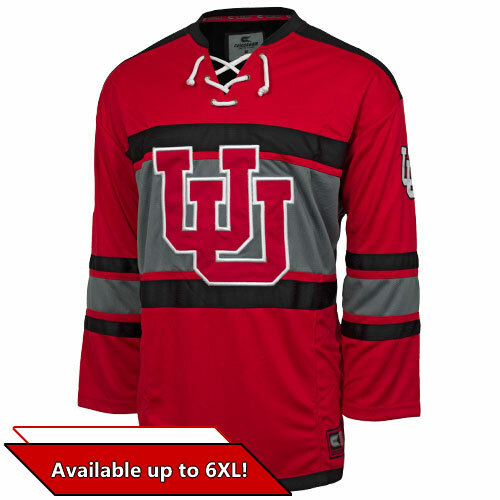 Please select option for Colosseum Utah Utes Interlocking U Hockey Jersey. 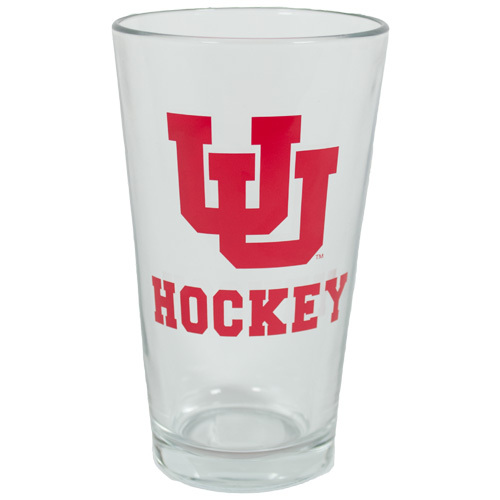 Enjoy a cold one while supporting your Utah Hockey team. 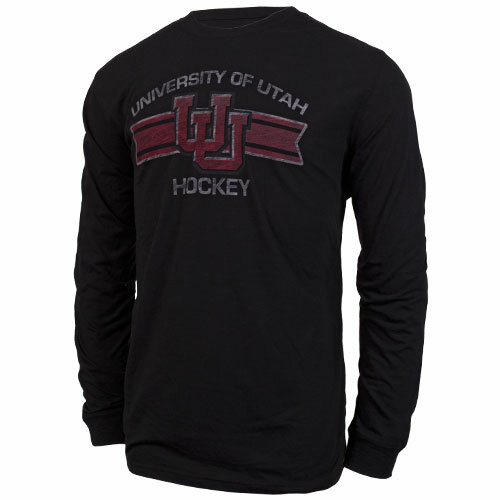 Show everyone your University of Utah hockey pride with this long sleeve, interlocking U t-shirt. 65% polyester, 35% cotton. Imported. Please select option for Interlocking U University of Utah Long Sleeve T-shirt. 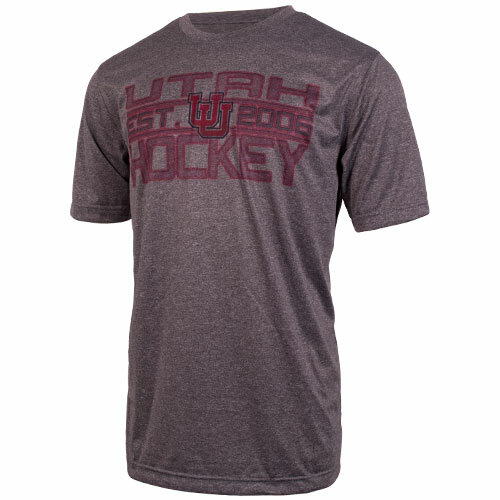 This Interlocking U hockey t-shirt is perfect for the University of Utah hockey fan. 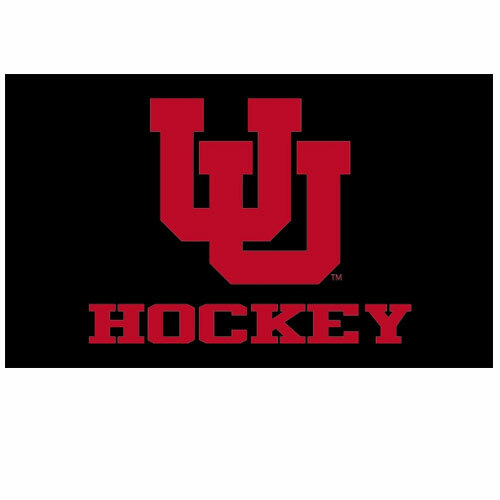 Please select option for Interlocking U Utah Hockey T-shirt. 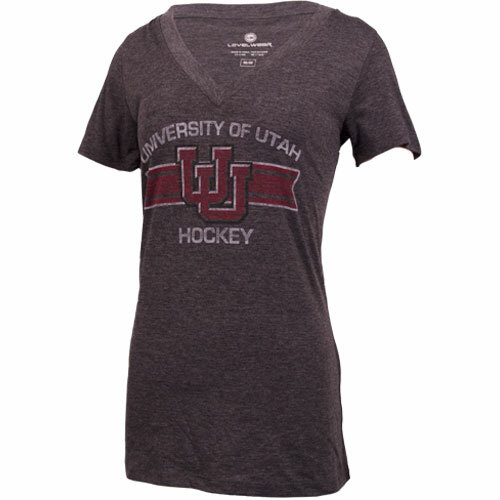 Ladies, add some flair to your Utah Hockey wardrobe with this Interlocking U dress jersey. Please select option for Ladies Interlocking U Dress Jersey. 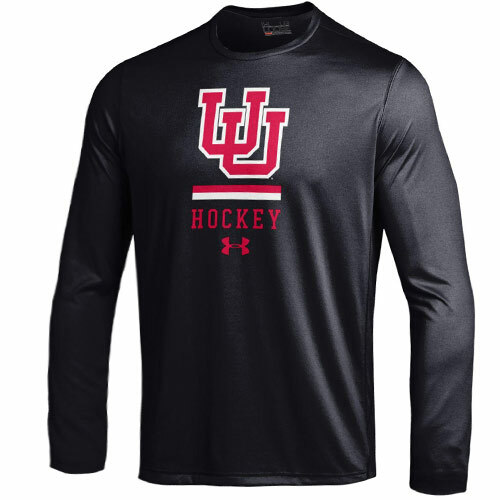 Support Utah Hockey with this Under Armour long-sleeve t-shirt. The Interlocking U and striped lines gives this shirt it's sleek touch. Please select option for Under Armour Interlocking U Hockey Longsleeve. 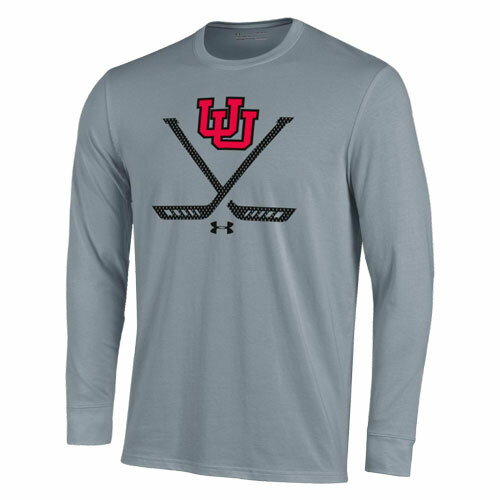 Support your favorite athletic department with this Under Armour HeatGear, Hockey Tee. 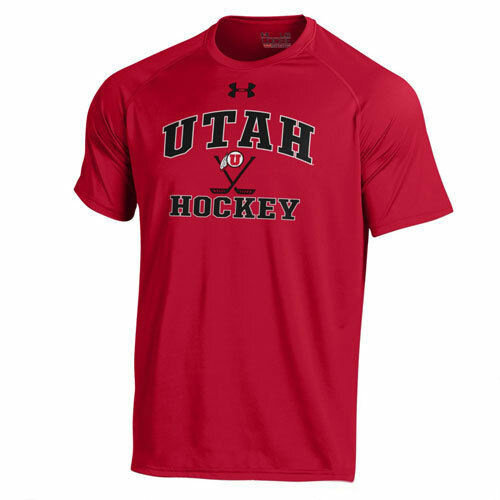 Please select option for Under Armour Utah Athletic Logo Hockey T-Shirt. Interlocking U applique hockey jersey. 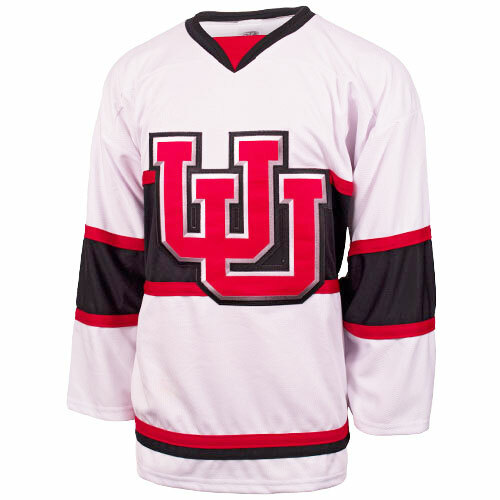 A must to wear and support your University of Utah hockey team. 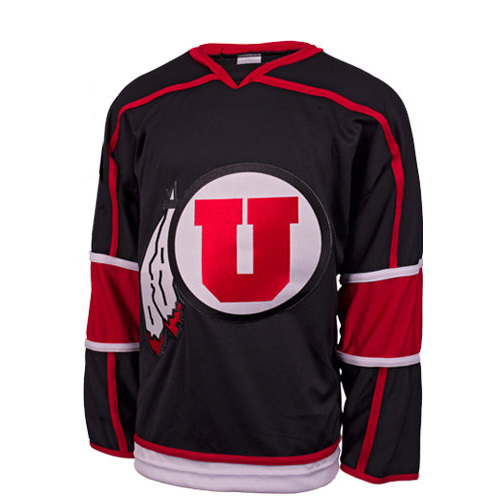 Please select option for University of Utah Interlocking U Replica Jersey. 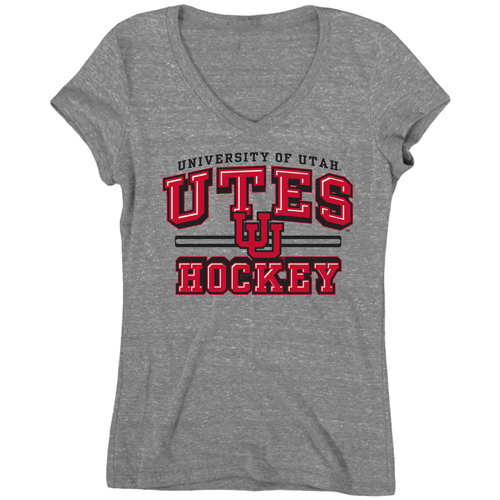 Ladies, this arched University of Utah Interlocking U v-neck hockey t-shirt is a must for your hockey wardrobe. Please select option for University of Utah Interlocking U Women's V-neck T-shirt. This black Interlocking U Hockey 3'x5' silk screened flag with grommets is perfect for any Utah Hockey fan. 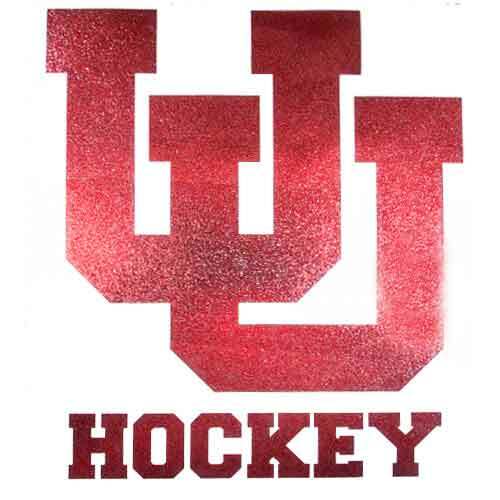 Hang it proudly and show off your Utah Hockey pride! For all of you Utah Hockey fans. This 3'x5' SILK screened flag with grommets is just what you have been waiting for. 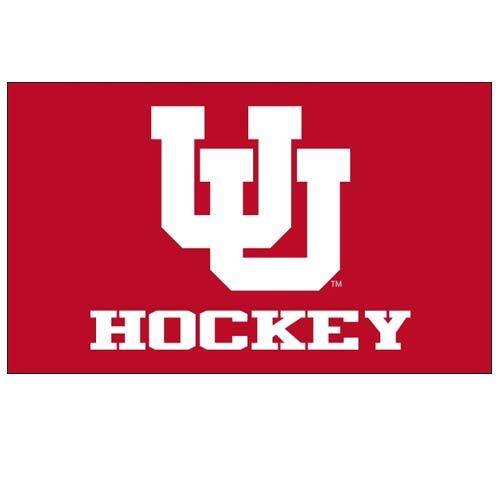 Display your Utah Hockey pride. 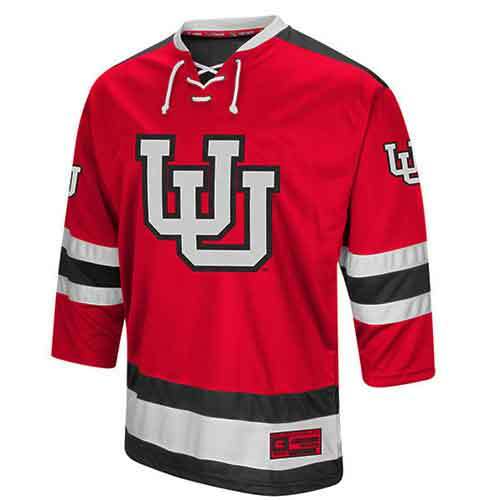 Show off your support for the University of Utah's hockey team! The front features crossing hockey sticks and the Interlocking U logo. 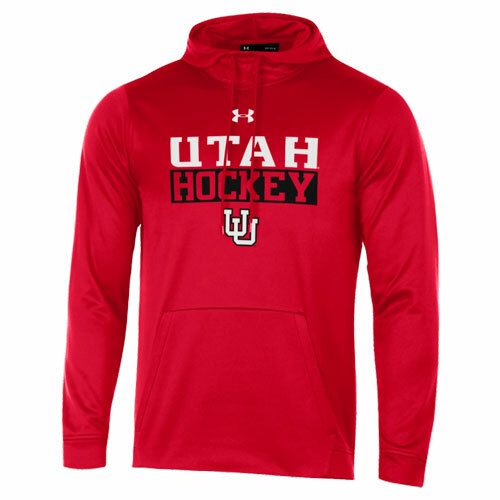 Please select option for Utah Utes Under Armour Interlocking U Hockey Long Sleeve Tee.